Over 60 years on we continue to develop alongside changing markets and new technologies. 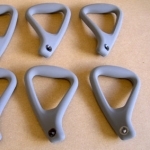 We vacuum form within the complete range of plastic materials and are able to form 1 off prototypes through to 1000 off batches. We are able to capture 1.3 million points per scan and have an entirely portable system. 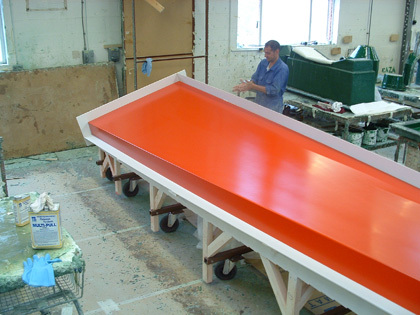 AP Hollings are vacuum forming manufacturers and fibreglass moulders originally founded as a pattern making company by Arthur Pollard Hollings. 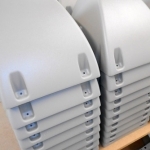 We offer over 60 years of manufacturing vacuum formed products, fibreglass mouldings, rim moulding with machining, assembly, prototypes, jigs & fixtures with CMM inspection before despatch. In 2006 a sister company was established, APH3G. This identified the new facility with the third generation of the Hollings family continuing the business. In a second facility, a commitment to investment in new technology allowed the latest CNC machines and CMM Inspection to be housed. 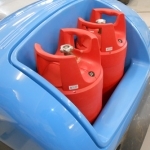 Further expansion ensured that APH is always at the forefront of fibreglass moulding and vacuum forming technology, for a total in-house capability, a genuine one stop shop. 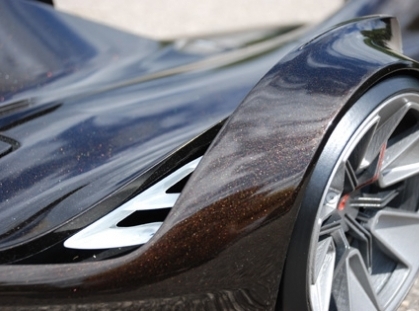 Why AP Hollings & Sons for GRP & Carbon Fibre? With over 60 years experience in all that we hold dear, we know that delivering the highest quality products & tooling etc at the lowest possible prices is just two of the reasons why our customers keep coming back. A P Hollings offer from prototype one off, short runs to production quantities, through to many 1000 off batches. application of the end product. 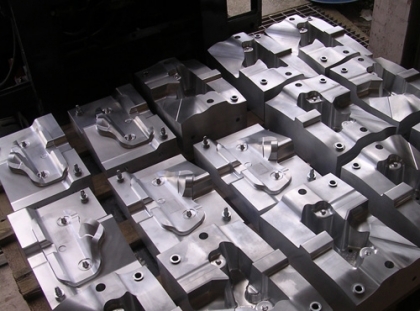 We can produce very low cost tooling in MDF, Resin Tooling for short batch runs up to 100’s off, aluminium tooling for forming PC & HDPE in low to medium batches, through to fully water cooled aluminium tools for up to 1000 off batches. 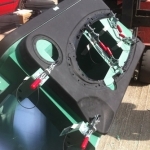 A P Hollings undertake all aspects of Fibreglass producing our own patterns and plugs in house, from hand lay up of bespoke one off prototype through to low volume quantities of mouldings. Our patterns are made in a variety of materials that include MDF, Melamine, Ureol tooling board and Epoxy tooling board. The patterns are made either in our CNC machine shop or using traditional hand making methods by our own time served skilled team. 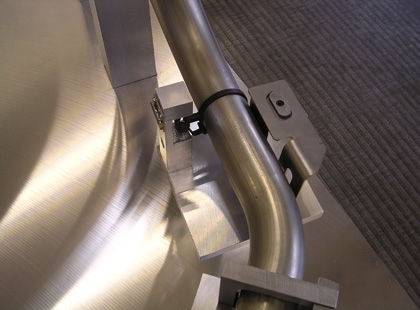 APHollings have been using this low pressure RIM system to produce a variety of PU components over many years. Our customer base markets include; POS, Medical & Automotive interiors and in this area currently we are producing 25 car sets per annum. 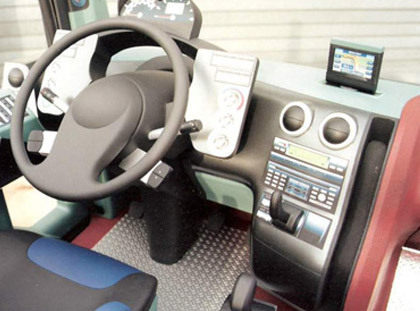 The obvious advantage over injection tooling, that would normally be selected for vehicle interior trim, is the very low cost of RIM tooling. 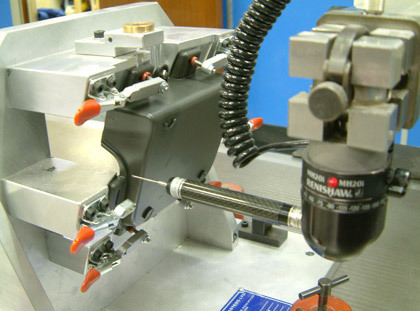 We are able to integrate client data either in a 2D or 3D format into tooling or fixtures required to suit the end use. 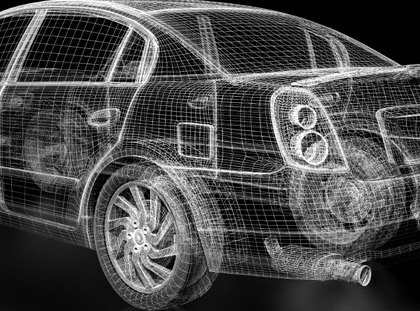 We utilise the latest automotive standard design platforms along with: Delcam Powermill, Power Shape and Power inspect. Full CAD modeling and surface generation. Catia V4 & V5, IGES, DXF, DWG, VDA, JT, Delcams PS models & DGK, Pro Engineer, Unigraphics, STEP, STL, VRML, HPGL & MoreFTP data exchange CNC machining in all materials, metals, composites and plastics to support the manufacture of either parts, tooling and fixtures. APH processes to produce prototypes and models offer a variety of applications from using traditional hand methods used by our skilled craftsmen, through to CNC machining from CAD masters, or the latest Rapid Prototyping techniques. These include SLS & SLA to build some or all of a model or prototype. But as always the finished assembly or model relies on the experienced eye to achieve a perfect function or finish. 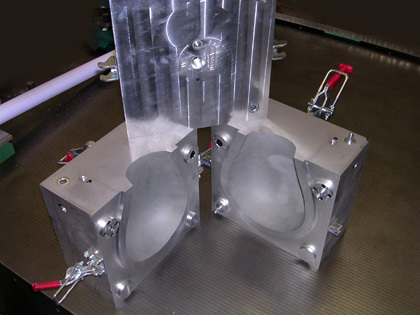 Some of these RP parts are used for Vacuum Casting of small precise patterns. How best to reduce the assembly or manufacturing time of a product, is crucial to improving its quality and profitability. The correct design of special purpose jigs and fixtures is an integral part of the development cycle. AP Hollings have been providing a service of CMM for many years, it is an essential part of our kit. The working table is 3mx2m offering the scope for large component inspection. 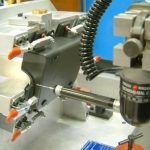 We can offer full inspection of components machined by us or as a sub-contract service on clients parts. Fully detailed dimensional (cpa)capability studies or reports are published. As an ISO9001-2000 quality accredited company and operating a service like this, we can assure our clients, that the support offered is of the highest integrity. Craftsmanship; a term that normally relates to quality, style & flow of vehicles , but does not exclusively mean only Automotive. In fact everything undertaken by AP Hollings has this element intuitively given by our time served Artisans. large or small. The 3D scanners are entirely portable and so can be taken to the subject if necessary. 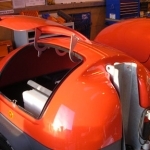 Several major vehicle OEMs ranging from Transit Airport -complete vehicle, High Performance Sports Cars body panels and bespoke after market interior and exterior parts. All selected APHollings to supply components and complete interiors &exteriors Over many years we have gained recognition as an OEM supplier, demonstrating that our diversity has many advantages. Under one roof we offer the ability to combine all our services eg. 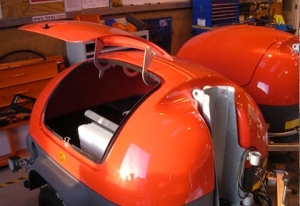 Vacuum Forming, Fibreglass&Composites, Rim Moulding, CAD/CAM. &tooling, but overall Craftsmanship. 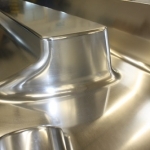 This attention to detail ensures that quality fit and function is right first time, maintaining our reputation as the company who can support your vehicle projects. Aircraft interiors particularly, flight attendant seating trim parts ie pan fairing and seat back fairing, lifejacket stowage fairing. vacuum formed in Lexan6000. 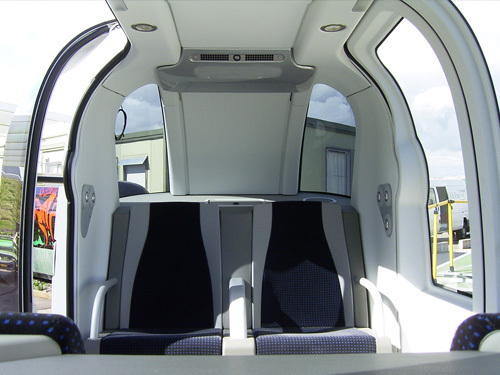 Cabin dividing curtains, internal stiffeners and roller guides in many shapes and sizes flat routed in 0.7 & 1.5 mm Kydex100. To form the parts in Kydex (PC) requires aluminium tools which we machine in house and as described in our vac form guide, PC requires to be heated to 190º which can only be achieved with Aluminium. Defence companies chose APHollings some time ago to produce a multitude of different vacuum formed ordnance protectors. To this day some of the same items are still produced as are parts & detail finish assemblies now used as covers for FLIR equipment.